Return the signed release form to Staci by mail, fax, or e-mail. This program is paid for from the small fee you are assessed when you license your vehicle. The benefits of this program are available to all Montana residents; please use it. What is a "Junk Vehicle"
A "Junk Vehicle" as described by law is: Any "discarded, ruined, wrecked or dismantled motor vehicle, including component parts, which is not lawfully and validly licensed, excluding permanent licensing, and remains inoperative or incapable of being driven". 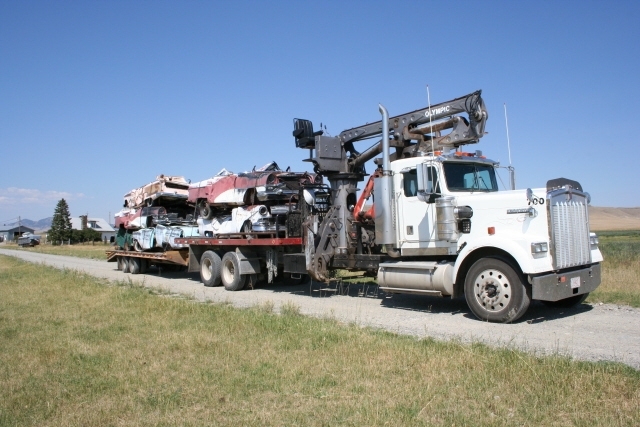 Any person possessing one or more junk vehicles, regardless of ownership, shall shield the vehicles from public view or remove the vehicles to a licensed motor vehicle wrecking facility or motor vehicle graveyard after the vehicles are released from the owner.